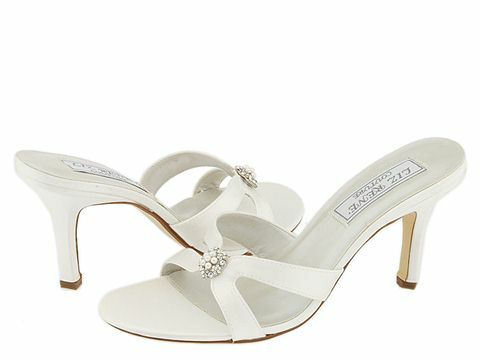 Elegant sandal with a beautiful rhinestone embellishment. Dyeable satin upper. Lightly padded footbed. Covered satin heel. Leather sole.